The Union Buildings form the official seat of the South African Government and also house the offices of the President of South Africa. 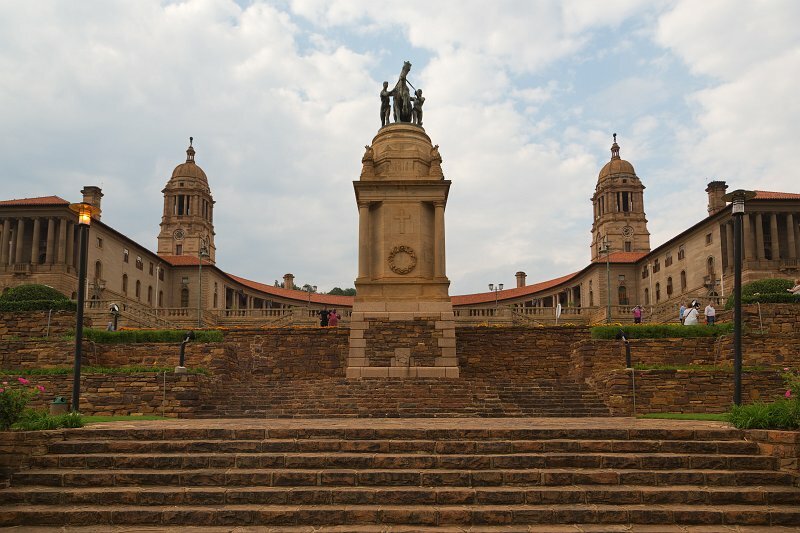 The imposing buildings are located in Pretoria, atop Meintjieskop at the northern end of Arcadia, close to historic Church Square and the Voortrekker Monument. Though not in the center of Pretoria, the Union Buildings occupy the highest point of Pretoria, and constitute a South African national heritage site. The Buildings became an iconic landmark of Pretoria and South Africa in general, and are one of the most popular tourist attractions in the city and an emblem of democracy.